Slought is pleased to present …Cairo stories, a video and photographic installation by Judith Barry, on display at Slought from September 5 to October 15, 2014. 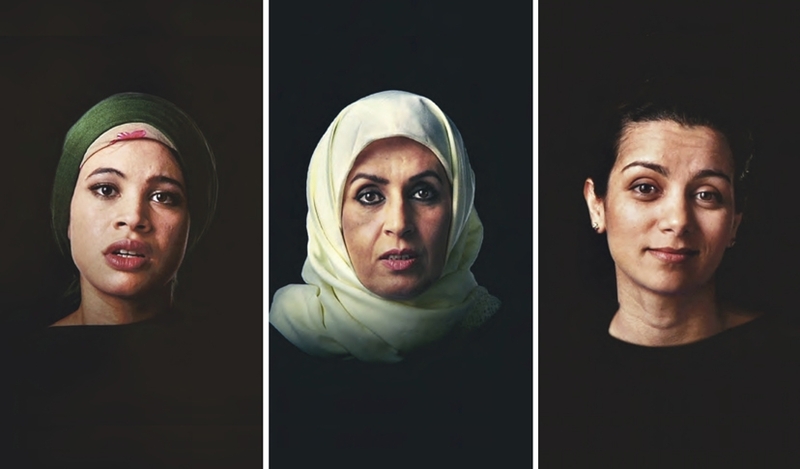 Created from a collection of more than 200 interviews Barry conducted with Cairene women between the US invasion of Iraq in 2003 and the beginning of the Egyptian Revolution in 2011, …Cairo stories is a series of short video monologues. The selection of stories chronicles personal experiences of women from a variety of social and economic classes in Egypt and expands the artist’s concerns with notions of representation, history, subjectivity, and translation — particularly as these ideas circulate across cultures. “I consider that all projects involving other people are collaborations, even if they are not acknowledged as such. This project would not have been possible without the tremendous generosity and effort of many people, each of whom, in different ways, was a key collaborator in the truest sense of the word. While many do not want to be named, I want to underscore how important their contribution is.